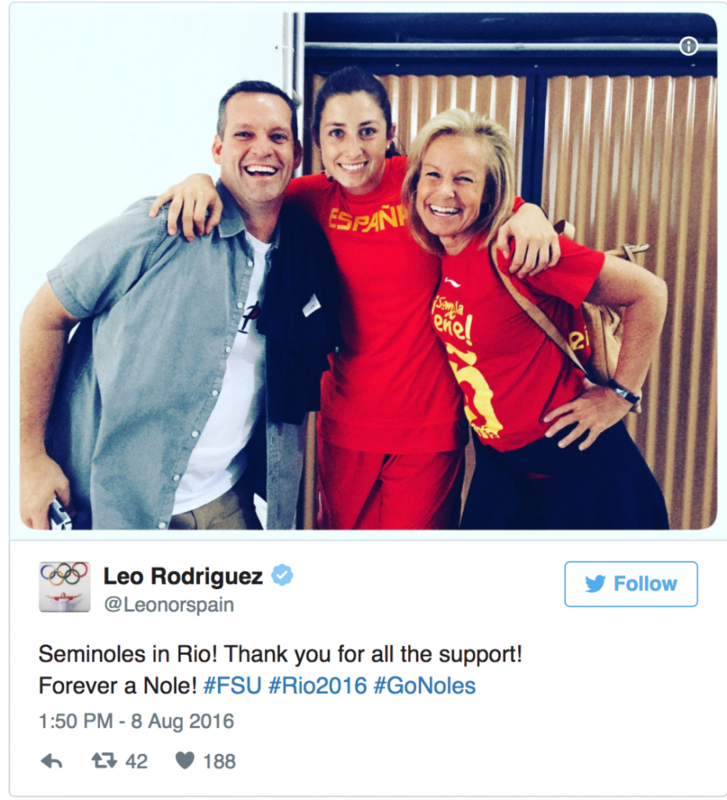 TALLAHASSEE, Fla. – The patience and resolve that Leonor Rodriguez learned while at Florida State helped pave a road to Rio de Janeiro. A guard at FSU from 2009-13, Rodriguez struggled to find her footing as a freshman and sophomore before settling in as a junior and, finally, breaking through as one of the top players in the Atlantic Coast Conference as a senior. 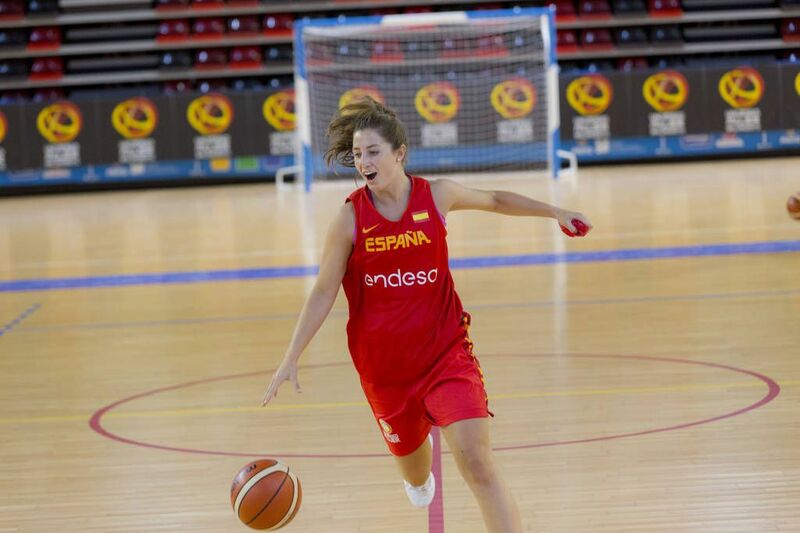 Three years later, Rodriguez, a native of the Spanish Canary Islands, is competing with the Spanish Women’s National Basketball team at the Olympic Games, alongside current Seminole Leticia Romero. Spain is 1-1 in the tournament after a 103-63 loss to the United States on Monday. Rodriguez had to clear a few obstacles before finding her place on the Olympic team. Now 24 years old, Rodriguez has competed for Spain at the international level since she was 14 and was on the top-flight team that won silver at the FIBA World Championship in 2014. But she got a difficult lesson in international basketball a year later when the national team, in need of another post player in place of a guard, cut her from the roster. She was the last player to miss the cut. But rather than sulk, Rodriguez channeled her disappointment into energy spent refining her game and becoming a player her coaches couldn’t leave at home. The process was similar to the one she went through at Florida State. Rodriguez arrived in Tallahassee with plenty of potential but lacking both the speed and the strength needed to succeed in American basketball. As a result, she was used sparingly (7.7 minutes per game as a freshman, 8.9 as a sophomore) and at times wondered if she had what it took to succeed at FSU. Eventually, after hours in the gym and a few years’ worth of experience, Rodriguez did just that. As a senior in 2012-13, Rodriguez was the top scorer on team that went 24-10 and reached the second round of the NCAA tournament. Bolstered by a 35.4 shooting percentage from 3-point range, Rodriguez scored 14.9 points per game on her way to first-team All-ACC honors. “I learned another way of viewing basketball, another way of coaching, interacting with different types of players,” Rodriguez said. “FSU made me open my mind … made me more mature as a person and also a player. Rodriguez is now putting those skills to use in Rio. More than three years removed from her last game in Tallahassee, seeing Semrau in the stands reminded Rodriguez that she’s still part of the program. “That was one of the reasons why I went to FSU and did not choose another college—that family atmosphere, that caring,” Rodriguez said. “That putting yourself into other shoes, to really feel that they care about you, not only as a basketball player, but as a person. What’s going on with your studies, your family, your mind. I think that’s something really neat. #FSUWBB Block Party This Saturday!